recording memories and everyday life! Post by Mary Jayne Villarreal Bonoan. This is a must try... maybe Easter dessert! 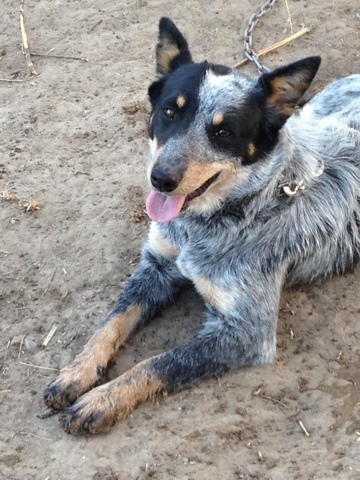 This is my beautiful blue heeler, Gypsy. She just got a spanking for jumping all over me in my new jeans! Finally getting our little car fixed after some senseless woman hit us and then took her sweet time deciding how to pay. I'm not even sure whether she's pay voluntarily or if her insurance is doing it on their own! Once again another year has almost come and gone and I've managed to neglect my blogspot again! Tilapia it's what's for dinner! Another year has gone by and here we are at the beginning or 2012. A time for resolutions and self promises for improvement for the new year ahead of us. I am hoping that this year I can get my life organized. I will do more to lose the weight that I'm suppose to lose and reach my goal in a reasonable time, setting realistic goals. The rest will fall into place one day at a time! Life and Living... heard this again today! How true! who make you laugh, forget the bad, and focus on the good. So, love the people who treat you right, pray for the ones who don’t. I can’t believe I haven’t been in here in so long. I’m going to try to start a P-A-D starting 01/01/2011, I know it will be hard to do, but I’ll do my best to keep up with it! I really need to get more use out of my digital cameras. Wish me luck! 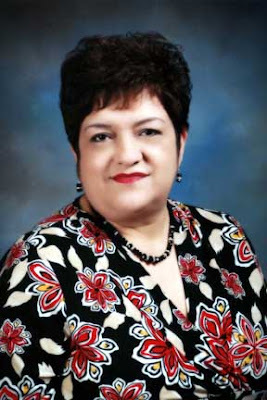 I, Mary Jayne Villarreal-Bonoan, officially announce that I am seeking re-election to the office of Zapata County Clerk in March 2010. Since my election in 2006, the support I’ve received from Zapata County voters has been extremely gratifying. It has been both an honor and privilege to serve the public and the residents of Zapata County and consider myself very fortunate to have so many friends and supporters. I am seeking re-election because I care about the reputation and forthcoming future of this office. 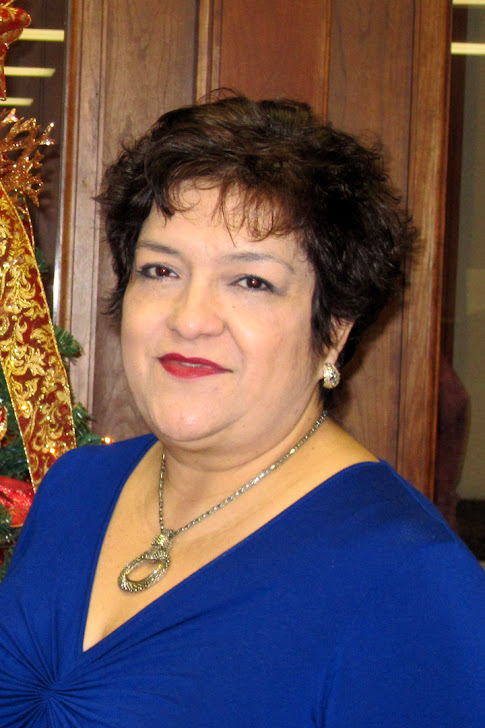 I started working for Zapata County in 1993 as secretary for the County Attorney’s office, and was subsequently promoted to office manager before being elected Zapata County Clerk in 2006. Since my election, I believe that I’ve delivered on my campaign platform and together with my staff, I have implemented a property recording and document imaging system; a case management system for criminal, probate, guardianship and other civil cases; digitized, preserved and re-indexed most of our county maps. We are now converting paper and microfilm records dating from 1984 to present into digital images. I would like to continue to build on these achievements using modern technology, in order to provide the people of Zapata County a superior level of service. The duties of the County Clerk’s Office consist of administering all county and state elections, including early voting, general and special elections; serve as clerk of the county court and the commissioners court and keep records of the proceedings; act as recorder of deeds and other instruments; record wills and last testaments for probate; issue marriage licenses; and account for all funds paid to the office by way of fines and fees. I thank my family and friends, my staff, and the voters of Zapata County for their support of my 2010 re-election campaign. 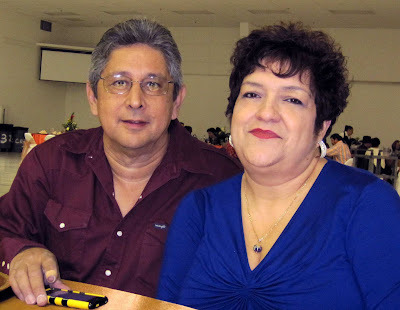 I give special thanks to my mother, retired County and District Clerk Consuelo Ramirez Villarreal, for her tremendous support and for being my Campaign Treasurer. I pledge to remain dedicated to the integrity and management of the office. I wish to continue the Zapata County Clerk’s office tradition of courteous, friendly, and efficient service for the citizens of Zapata County and the public. With this in mind, I humbly ask for your support of my re-election on March 2, 2010. Please “Vote Mary Jayne Villarreal-Bonoan” for Zapata County Clerk! At the Amistad Christmas Kick-Off Dance last month! I hadn't taken a pix with Mike since before the weightloss surgery... I think the one before this one was when he graduated from LCC!!! My gang... on my bday!!! One more pix of my gang on my bday... we went to eat at La Hacienda del Rey. I hadn't had a chance to post these... they were taken on my 46th birthday and on the 7th month surgiversary of weightloss surgery. 6 Months and 84 pounds later!!! This is my 6 month surgiversary update. I've lost 84 pounds since my VSG. Weightloss has slowed down now and I'm able to eat most things in tiny amounts. I try to eat several times a day to avoid making myself sick. I'm still on four blood pressure meds, but seem to be improving. July 10 was my 5 month surgeriversary. I've lost 72 pounds and have between 90 - 100 to go. It has not been an easy journy. My eyes are literally bigger than my stomach and I tend to over eat and make myself sick from time to time or way too often. Nonetheless, I could not have lost the weight without the surgery. I am no longer classified as diabetic and no longer take diabetes meds. My blood pressure is still on the high side and my chances of having a stroke are still high, but the improvement in my overall health is still notable.!!! Standing in line to go into the Alamo. We spent this weekend in San Antonio with my brother. It was hotter than hell!!! I swore not to visit the Alamo again until Winter. I took this picture as we stood in line to enter the mission. Picture taken with Canon Powershot SD970 IS. 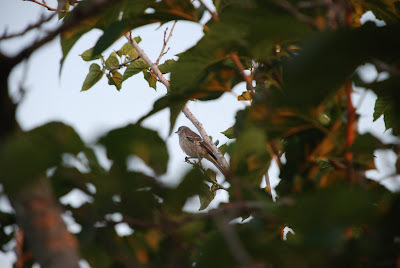 I caught this birdie early this morning. Rowdy startled it and it flew up on the tree and landed on a branch that was too far for me to get a better shot. I had really wanted to get him while he was looking my way, but it was not possible today. I will try again later. 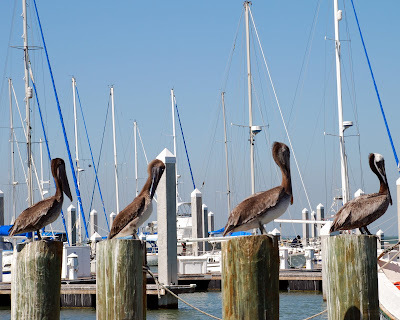 Quick shot as we arrived at the bay in Corpus Christi, TX. 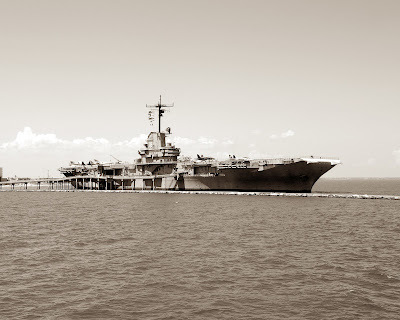 The Lexington is ballasted onto the bottom of Corpus Christi Bay, close to the Texas State Aquarium. The Lexington has been serving as a museum since 1992, after serving her country since her commissioning in 1943. One special treat waiting for me was one of the screws from USS Cabot, the last surviving light carrier, tragically scrapped in Brownsville, Texas in the spring of 2001. In her varied career as an attack and then finally training carrier, the Lexington carried planes ranging from SBD dive bombers to the F-18 Hornet. Examples of many of these are found in her hangar and on deck. Unfortunately, the island was closed on my visit due to a fire the previous April, but the rest of the ship gave a glimpse into history dating back to her days as the Blue Ghost. Even with an angled flight deck and jets in sight, the Lexington carries you back to the days of Hellcats, Avengers, and the Greatest Generation. Wander through the ship right down to the shafts, walk acres of flight deck, sit in a ready room waiting for the command to man planes. View 40mm guns and a hatchway leading to a Sidewinder magazine. See old wood still lying under the "modern" flight deck, and peer through the bullnose at the city skyline. The last Essex class carrier to retire, the Lexington spans six decades of U.S. carrier development and is an important part of America's naval history. Taken with Nikon D80 by Mike Bonoan. 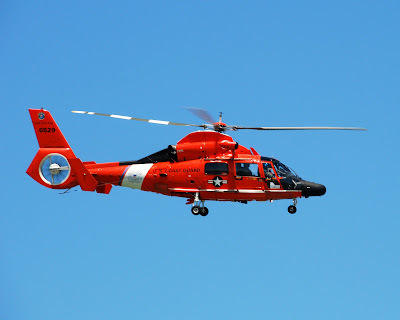 This was a "freak" shot... the chopper was passing and I just clicked. Good lighting, good camera!!! This is for one of my stamp shack swaps. I actuallly completed this almost a month ago. 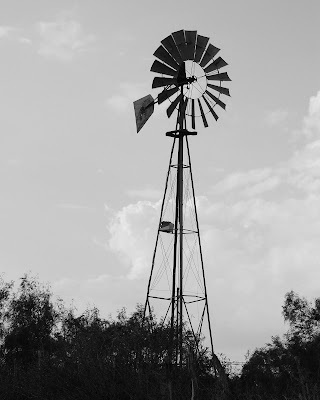 Played a bit more with my camera and took a shot at this windmill. I love windmills... reminds me of days done by. I wonder what my life would have been like if I had lived a centurye ago. Not so good doctor's appointment!!! So I lost another three pounds. I am no longet diabetic and no longer anemic... but my blood pressure is still way too high. Added another pill to the three I'm taking for the blood pressure. Off my hormones. Still on all the other stuff. When will this get better. This one posed for me also. It just sat there waiting for me to "shoot"... 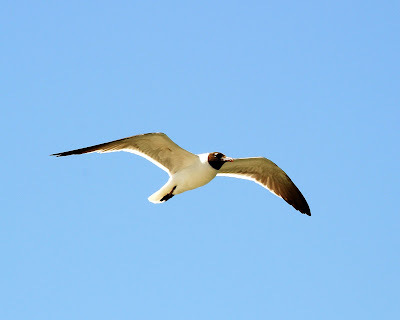 I had a great time taking pictures of these birds! This seagull just "stood" there at midair posing for me. It never moved, it just waited until I took it's picture. What are the odds. I took this picture at one of the T-heads in Corpus Christi, Texas. They seemed to be pretty people friendly... 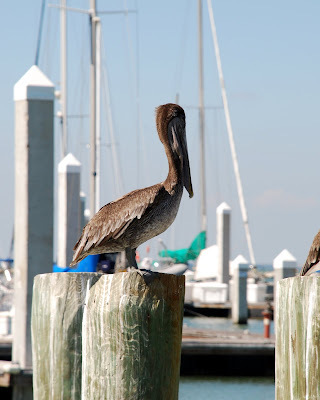 I was able to get up close and personal with these pelicans!!! Weightloss Surgery Update: 4 months and two weeks out!!! I had my 4 month surgiversary on June 10. I've lost 69.8 pounds. Weightloss has slowed down since I am now able to eat more foods. My eyes are still bigger than my stomach so I tend to make myself sick from time to time. The "now" picture, in the red top, was taken at my office by my bff Myrna. I'm 15weeks and 5 days out and I've lost 63.4 lbs. I haven't lost much in the last month, I'm thinking that it may have to do with the vitamin B12 shots I've been getting for the last four weeks. I have to go for bloodwork and a knee x-ray this week and I have a doctors appointment on June 11. I started walking last week with my aunt and my cousin, but we missed a few days... hopefully we'll continue this week and maybe my knee won't hurt too bad. I'll post a new picture as soon as I take one!! So far so good... I'm six weeks and one day out since my weight loss surgery on February 10 and I've lost 46.6 pounds. Although I can't tell too much of a difference, some say it's already very visible. I can, however tell that the inches are coming off by the way my clothing fits (way too big)... Does that mean I get a new wardrobe soon? I hope so! Today with much reservation, I decided to accompany Mike to Laredo. He worried all the time becauae since I'm on the clear liquid diet there wasn't much I'd be able to eat. We ended up at the Oasis and I explained to the waitress about my recent surgery and she gladly brought me a small soup which had been passed through a seive and all I had was broth. She was so nice and helpfull. As of today I've lost between 24 - 26 lbs. since my first consultation with the surgeon on January 19, 2009. I did feel as if I over did it... it was too much walking and standing for being five days post up.... just not ready for all that yet!!! It's amazing how people change throughout time. I for one have changed to the point of "unrecognition" the 199 lbs I gained since high school have left me worn out, tired, exhausted. and amoung other things I'm also unattractive, undesireable, and sometimes unwanted. I wonder if the massive weight gain also killed spirit. In many of the WLS blogs you read about women who don't recognize the "thin" person looking back at them in the mirror while for me it's often times the opposit and I don't recognize the old, fat, delapidated woman looking back at me through the mirror... she still wears the expensive make up and has the big brown eyes.... that often times hide behind large cheekes another recognizable trait is the ruby red lips that adorn the center of my face! Okay... so this is it!!! 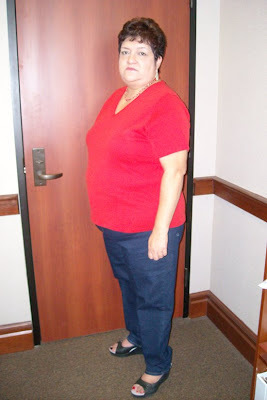 I'm set for my VERTICAL SLEEVE GASTRECTOMY on February 10, 2010. I started my full liquid diet on January 20th and I've lost about 11 lbs. I know there should be more weight loss by now but I'm having issues with the diet. I want food... and no I'm not exactly cheating as far as solids... too many people watching me, plus I know better. Now for the big question: Am I ready? The doctor thinks I am. I'm not having second thoughts, but wonder can I still do this on my own... well the answer is no... No I can't! I talked to the doctor about it and he said that stats and studies show that someone of my size (BMI 55 when I started) or even smaller would be able to lose weight but will gain it back eventually. In other words it can be done but not long lived. This is the surgery that I plan to get at the begining of the year. As obese as I've become this would help me eliminate some of the comorbidities that I've developed. A little about me, I'm a small town girl who likes the simple things in life. I'm married to Mike, the love of my life. We can't have children and although it doesn't fill the void, we share our home with Rowdy our crazy red heeler. I've been a hobbyist since I can remember. Crocheting, sewing, embroidering, baking, reading, papercrafting, freelance photography, scrapper, rubberstamper and card maker. Along with all of this, I am also fulltime county clerk of our community. Thanks for visiting my blog! !